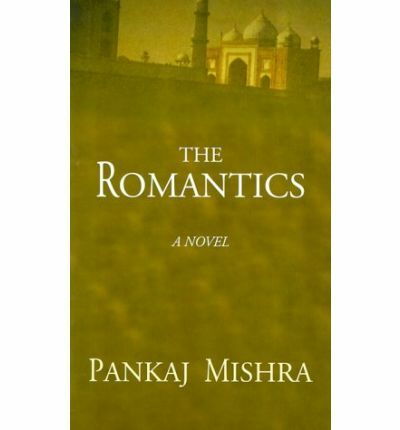 The Romantics, by contemporary Indian author Pankaj Mishra, seems to be his only novel. Which is a pity, because I really enjoyed it. Religious conflict: every Indian, they said, had to make up his/her mind about the conflict between Hindu and Muslim, even though there are now some who say that the hatreds of Partition are now long ago. City versus village life: the vast majority of Indians still live in villages, although of course this is changing. Indian democracy: this is not taken for granted, [as it is, for instance, in Australia]. There are different layers, headed obviously by parliamentary democracy, but [rather like Australia] each state is responsible for some aspects such as education but can be over-ruled by the Federal Parliament if they over-step their responsibilities. Then there is also village democracy [similar to our local councils] where apparently it takes some courage to stand up against the rich and powerful. Corruption: is endemic, and at all levels of bureaucracy, from registering a crime to doing the paperwork to buy a house. The desire to enter the life-changing formal labour market i.e. to have ongoing employment with a significant employer rather than casual work in the informal labour market where most Indians work at whatever they can. Class and caste, a pervasive preoccupation going back centuries. It’s not talked about much, but it doesn’t need to be because it is taken for granted that marriages will sustain the status quo. The size of the population. There are 1.2 billion people in India, so for example, if 5% of them work in the burgeoning call centre industry, (educated enough to know English, do a little maths and have competency with IT) then the impact on the domestic economy is huge because this 5% now has an income to spend. While the panel did not refer to the fact that India has just had to pass Food Security legislation to alleviate poverty, 20% of the population is middle class – and that’s about 250 million people. Diversity: India is multi-ethnic and multi-lingual, and Indian authors write in many different languages. Even if one knows, say, four of these languages, it’s not possible, they said, to grasp the entirety of Indian writing. For Samar, the disillusionment comes because he romanticises the West. Mishra’s novel shows how for this generation the gulf between ambition and reality can make for a painful journey to adulthood. In this poignant coming of age story Samar is smitten by his new Western friends but conscious that he will never have the same prospects. Always an outsider at events, he gradually realises that he will never be able to travel the world as they do or be as careless about money, nor can he be as insouciant about relationships because he is hidebound by Brahmin traditions, as well as by Indian class and caste consciousness. Samar comes to the city of Benares to study for the Civil Service exams. He’s not well-off: he’s a Brahmin whose father retains some nostalgia for its traditions and expects Samar to shoulder traditional responsibilities, but the Brahmin caste does not, in the new India, have the wealth and power that it formerly had. So Samar needs to join the formal labour market and he has to pass those exams to achieve employment in the Civil Service. It’s highly competitive and there are thousands of rivals, most of whom will be disappointed. Samar’s father has withdrawn to an ashram so the young man is living in dingy digs, reading Western literature obsessively and attending a university which periodically erupts into violent demonstrations because the student body has no confidence about their prospects. He has a friend of sorts there, a fellow Brahmin but rather dubious character called Rajesh who offers protection. The sense of ill-suppressed menace on campus is ever-present, but Samar’s sense of being at risk is not just because demonstrations are broken up with police brutality but also because he has no confidence about his interpersonal relationships either. Samar is befriended by an Englishwoman, Miss Diana West who lives in the same building. She introduces him to other Westerners from France, the US and the UK. All these Westerners romanticise India, as sojourners tend to do. They admire the anti-materialistic atmosphere and ‘simplicity’, and they like being able to live cheaply (but never as cheaply as the poor do). They decorate their homes with ‘self-conscious ethnic knickknacks’ (but have no understanding of the culture they are so carelessly appropriating). They like exploring beyond Benares, (but not in grotty third class train carriages). They like the Bohemian lifestyle, (but have no awareness that their casual behaviour is shocking to most respectable Indians). In fact, they have no idea what India is really like for the vast majority of Indians. They are shallow, egocentric dilettantes who leave a trail of disillusionment behind them. For Catherine, with her ‘trophy’ Indian lover Anand, the romance is about taking him home to Paris to be another Ravi Shankar. Miss West thinks these two are in love, but Catherine’s doesn’t share Miss West’s sense of loyalty at all. She breaks hearts with her careless promises but it is not she who takes the consequences. With money and family behind her, she can move on and adopt the bourgeois Parisian lifestyle she had so cheerfully scorned while in India. Like the mess left behind by the colonisers who came to India, the wreckage she leaves behind her is not so easily resolved. Samar’s introduction to Western culture challenges many of his naïve ideas and the novel traces his moral and intellectual confusion. He’s attracted to the greats of Western literature (Turgenev, Kipling, Hesse and Schopenhauer), but he doesn’t understand it. He’s flattered that Miss West likes to share her music collection with him, but he doesn’t really like classical music. He’s a virgin, and he’s scandalised by Catherine’s fleshy friends lying about in their underwear because it’s so hot. He’s been brought up to disapprove of noisy parties, empty frivolity and moral laxity, and he’s attracted more by the idea of western glamour than actually enjoying himself. None of the ideas he has gleaned from his extensive reading fits with the reality around him. For the reality of India that Mishra shows the reader is often unpleasant. I haven’t been to India yet, so I don’t know if Mishra has exaggerated the situation. While there are oases of beauty in rural areas, his settings generally feature squalor: grotty housing, open drains, mould and filth, and smelly overcrowded trains. Anarchy reigns at the university, and there are so few opportunities for Samar’s generation that it’s easy for them to descend into crime. Despite the rhetoric about respect for women, there is lecherous goosing of girls on the street. Poverty is everywhere, and when the modern economy arises late in the novel, its manifestations are incongruous in Benares, the holiest Hindu city in India. It is tawdry and shallow, with gaudy buildings and tasteless advertising – and it’s run by the Mafia. Samar’s melancholy fate suggests that since he doesn’t fit into this flashy new Benares, the only way he can achieve any kind of serenity is to go on being a poorly paid schoolteacher, a disappointment to his father and of no interest to westernised Priya (who got over her schoolgirl crush on him very quickly indeed). By the novel’s end Samar is older and wiser, but not really content. Tamil novelist Sivasankari has researched and created a four-volume book called ‘Knit India Through Literature’. Each of the volumes covers one part of India – South, East, West, North. In each volume, there is an introduction to the important writers of the region, excerpts from their works and in some places, an interview with the writer. It is a beautiful book which deserves to be more widely known and read. In many ways it is better than the above two anthologies, because it covers regional literature in depth, rather than focusing only on works written in English. Beautiful review, Lisa. Glad to know that you enjoyed Pankaj Mishra’s novel. I read it many years back and I liked it very much at that time, especially Mishra’s prose. After reading your review, I am getting tempted to read the novel again. It was interesting to read about the Melbourne Writers’ festival session on India. I agree very much with the last point that you have mentioned. Because of the number of languages, it is difficult for one to get an overall grasp of Indian literature. There is an organization called Sahitya Academy (=Literature Academy) which translates major works from each of the languages to the others, but there is only so much that they can do. For example, in my own language Tamil, there is a long tradition of mystery / crime novels stretching back to nearly a century. These are normally not translated, because they are not considered literary fiction. Some of them are wonderful but only people who know the language can enjoy them. Thank you, Vishy, I am in your debt for your recommendation of this book. Now I have to decide which one from your list to read next! It is such a pity that translations aren’t more popular: all over the world there are great books that only the lucky few can read. I have decided this week that I am going to brush up my French and then take extra lessons so that I can read my favourite authors in their own language, and one day I might be able to do the same thing with Italian, a language I love, but my ambitions to do the same with Spanish and Russian are fading because it would be so much work to achieve it with those two languages (which I can only get by in, as a tourist). You are welcome, Lisa :) Wonderful to know that you are planning to brush up your French and are planning to read some of your favourite French authors in the original. All the best! I have heard that Italian and Spanish are very similar to French in some ways and so I am hoping they would be easy to learn for you. *chuckle* We’re always beating ourselves up for not having read this or that, aren’t we? What’s the Indian epic? I raced over to your blog and found your excellent review of Beneath the Darkening Sky – but no review of an Indian epic yet. Which one is it, a new one, or a classic? The review was interesting to read. This summer, I had an opportunity to read novels by Indian woman authors residing in the United States- Chitra Banerjee Divakaruni and Thrity Umrigar. Divakaruni and Umrigar explore Indian women’s life experiences in their homeland and the United States. I read Divakaruni’s novels- Oleander Girl and Queen of Dreams- and children’s picture book, Grandma and the Great Gourd. I got a chance to meet Divakaruni during her book tour in New York City. She is also a gifted poet. Umrigar’s novel, The Space Between Us, was also interesting to read. I look forward to reading Umrigar’s latest novel, The World We Found, which explores the lives of four middle-aged Indian women friends who reunite under difficult circumstances in their lives. Other provocative contemporary Indian authors are Jhumpa Lahiri and Kiran Desai. Cheers!!! Hi Sonia, thanks for dropping by. There seems to be a very interesting suite of books from the Indian diaspora in many countries, notably the UK but also the US and Australia. (A bit like China: there seems to be more from Chinese authors not living in China than from authors who do LOL). At the moment my focus is books from Indian authors in India, but I’m sure I’ll branch out from there in due course. I was googling The Romantics and your blog came up, and I am glad it did. Your summary of Mishra’s novel suggests that you understand India rather well. Interestingly I just brought home Amit Chaudhuri’s anthology and have begun reading his introduction, which is interesting. Another book of this sort was written by Amitava Kumar – Away. It is not as fat as Chaudhuri’s but a fun collection of diasporic Indian writers. I think I have a long way to go with Indian Lit but Vishy, who visits here from time to time has put together an excellent reading guide on his blog, and so I feel that at least I have ‘set off on the journey’. A journey that will only be complete when one day I visit India!